Last year Chinese authorities announced that VPN services would be blocked by the start of 2018. This VPN block in China has now been confirmed to be taking place at the end of March. Reports from China confirm that unauthorised VPN services which allow users to circumvent the great firewall of China will no longer work as of this date. Ministry of Industry and Information Technology chief engineer Zhang Feng told reporters that only registered VPN services will be permitted to operate. This will lead the vast majority of overseas services used by expats and Chinese residents to fall foul of the latest announcement. In a meeting with reporters, Feng said that China wants to regulate any activity that allows cross-border activity. Essentially any data that passes in or out of China via the internet. In a blasé attempt to soften the restrictive move, Feng said that the regulations will affect the operations of foreign companies very little as they will simply be able to lease approved communications lines. However, leasing a secure communication line that has been authorised by the Chinese authorities is unlikely to please many. Often companies use secure lines to protect sensitive information. Although the Chinese authorities claim they won’t have access to personal data that passes through such lines it is unlikely many will believe this. So far the spotlight has been put on foreign companies operating in China that need to communicate securely with offices in their native country. Little has been said about the personal use of VPN services. These are used by hundreds of thousands of ordinary Chinese users to bypass restrictions that block access to sites such as Facebook and Instagram and chat apps such as Whatsapp. Alongside citizens of China there are many thousands of expats who live or work in China who use VPN services to communicate with home. It would appear there has been no mention of these types of users. VPN services have often been a hit and miss affair in China with some services such as VPN.ac and VyprVPN working well and others not working at all. 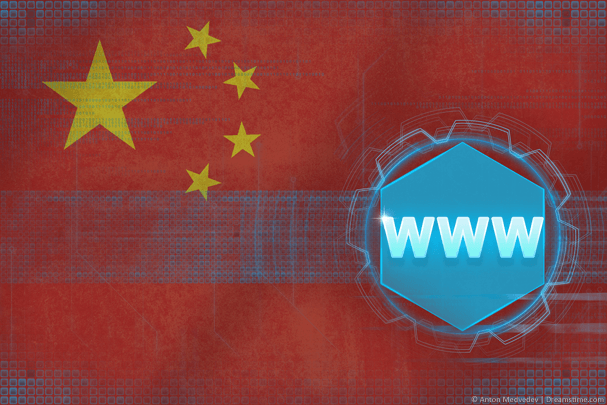 The impending nationwide block of VPN services would appear to be a ramping up of efforts by the Chinese authorities to stop everyday users accessing services that they don’t want to be accessed. Reports of Chinese companies who use VPN services to access communications apps like Whatsapp have surfaced. In one story published by Radio Free Asia it is claimed a Chinese businessman uses a VPN to access Whatsapp to communicate with his overseas customers. As Whatsapp is getting harder to access the factory which deals only with overseas customers will likely have to close. Even those companies that can afford to lease regulated communication lines will likely find that the services they used a VPN for in the first place are still blocked. Chinese authorities are not going to block access to secure communications tools for the general public but allow them on special leased lines. Data that they do allow to pass through the leased lines is likely to be monitored heavily defeating the purpose of using a VPN service. The full impact of the March restrictions will be left to be seen however it’s unlikely Chinese authorities will be able to block VPN services 100%. However, it will no doubt make it hugely more difficult for the average Chinese user to access an open and free internet. Users can do nothing but hope that the largest VPN services continue to battle to ensure their services are working in mainland China. Is Kodi about to change forever?